I’m going to NYC next week. I’m one of those people that plan for trips by mapping foods I want to try. During my research I came across MatchaBar. It’s a speciality matcha cafe in Brookyln and it’s walking distance from the Airbnb apartment I’ll be staying at! I smell an addiction. Anyway, I thought it’s best I use up my remaining matcha in preparation for what I’ll end up buying in New York. My first crush on matcha started when I was a kid. It was probably my first bite of mochi green tea ice cream that did the trick. Years later, my love for matcha was solidified when I studied abroad in Tokyo for my last semester of undergrad. You bet I ate my weight in matcha. Think: pastries, fluffy Japanese cheesecakes, ice cream, Pocky and Kat-Kats. The only thing I sort of regret not trying was matcha beer. With spring on the horizon and Easter on it’s way, I have marshmallows on the brain. I was that kid that was excited to receive Peeps, Cadbury eggs, and jelly beans galore. I can’t say I still like those candies now, but I do smile and remember how easy it was for me grab eggs during our family’s Easter egg hunt with my sticky marshmallows fingers. 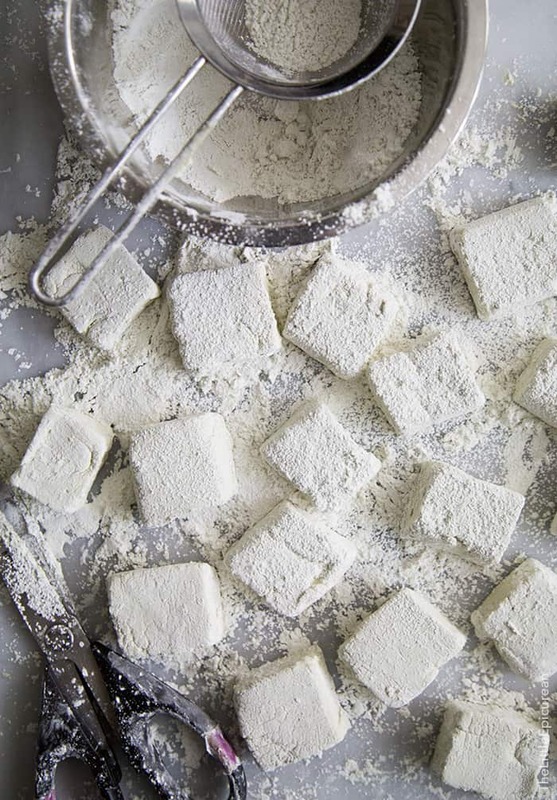 Now that I’m past store bought marshmallows, it’s time to make homemade matcha marshmallows! 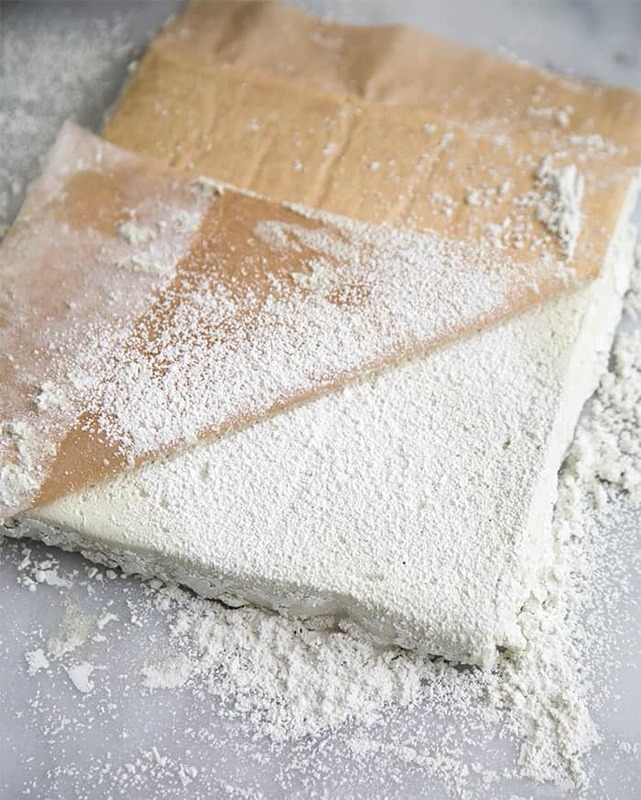 Most of the marshmallows recipes out there use powdered gelatin. I prefer to use sheet gelatin (leaf gelatin), simply because that’s what I learned how to use first. Unlike powdered gelatin, there is no chance you’ll end up with any yucky undissolved granules. In my opinion, sheet gelatin also tastes better (as in it doesn’t impart any flavor at all). Generally, you can substitute silver sheet gelatin for regular powdered gelatin gram for gram in a recipe. There are three types of sheet gelatin: gold, silver, and bronze. They differ based on their bloom strength, meaning how strong of a gelatin they create. Silver is the standard and it’s the same strength at as the powdered gelatin from the market. 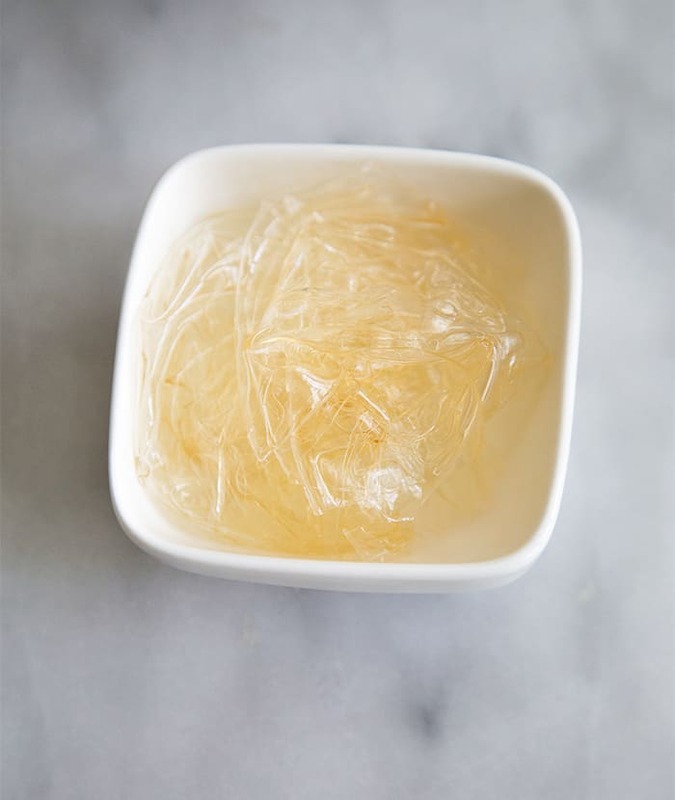 Using sheet gelatin is SUPER easy. Begin with a bowl of ice water. Submerge gelatin sheets into cold water. Leave it alone for 5 minutes, or until the sheets have softened. I like to cut the sheets in half before putting them in the water. It’s not necessary, just a habit of mine. 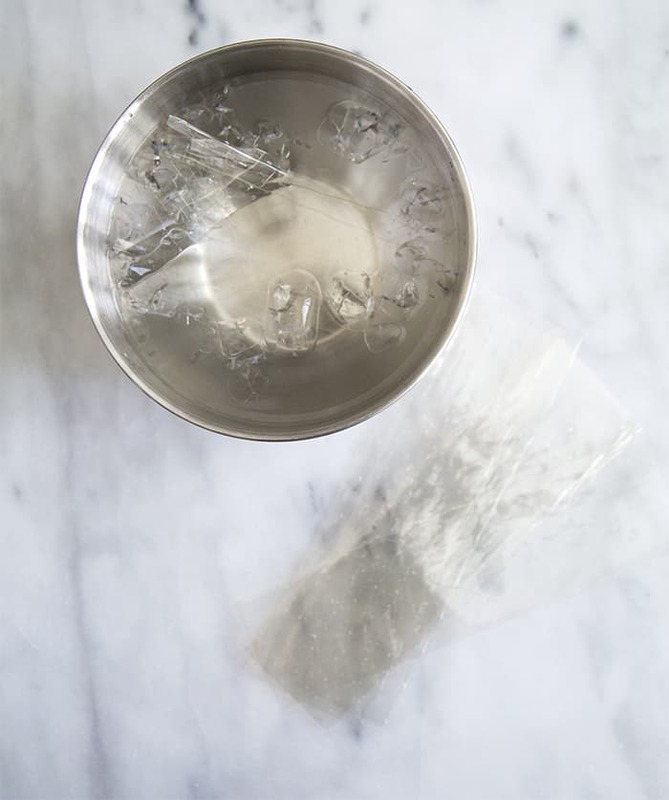 After 5 minutes, the gelatin sheets should have softened and look like plastic wrap. Scoop it out of the water and squeeze out any excess liquid. Place it in a small bowl and microwave it at low power until it melts to a liquid. It takes about 10 seconds. The thing with gelatin (powdered and sheet), it has to be used immediately, so plan accordingly. The most important thing to have when making homemade marshmallows is a candy thermometer. Heat the sugar to 240 degrees F remove from the stove and let it cool slightly to about 210 degrees F. This is important so you don’t burn the gelatin. Pour the melted sugar into the bowl of a stand mixer. Add the melted gelatin and matcha and start whipping! Whip on low-medium speed for a minute or two to get the ingredients combined, and then crank up the speed and let the mixer do it’s job until the mixture is light and fluffy. Use a slightly greased spatula to transfer the sticky mixture into a greased and parchment lined pan. Spread the mixture into an even layer. Sift matcha sugar dusting powder over the marshmallow. Let it sit at room temperature for 5 hours (or better, overnight). Remove the giant marshmallow from the pan and place it upside down on a powered sugar surface. Slowly peel off the parchment bottom of the marshmallow. As you remove the parchment, sprinkle on the dusting mixture on top. 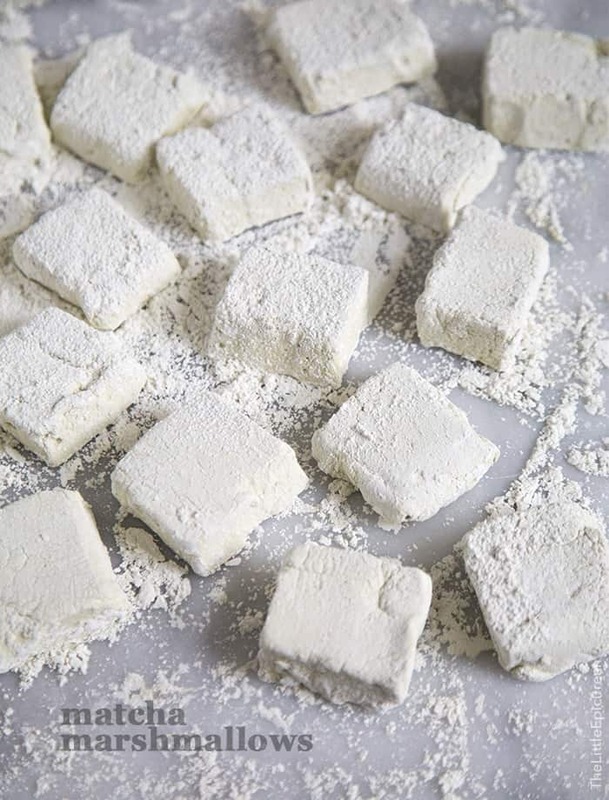 Hint: There’s a reason why I made these marshmallows a little more flatter than the usual big puffy square homemade marshmallows. In a medium sauce pot, combine 1/2 cup water, 1 cup sugar, and corn syrup. 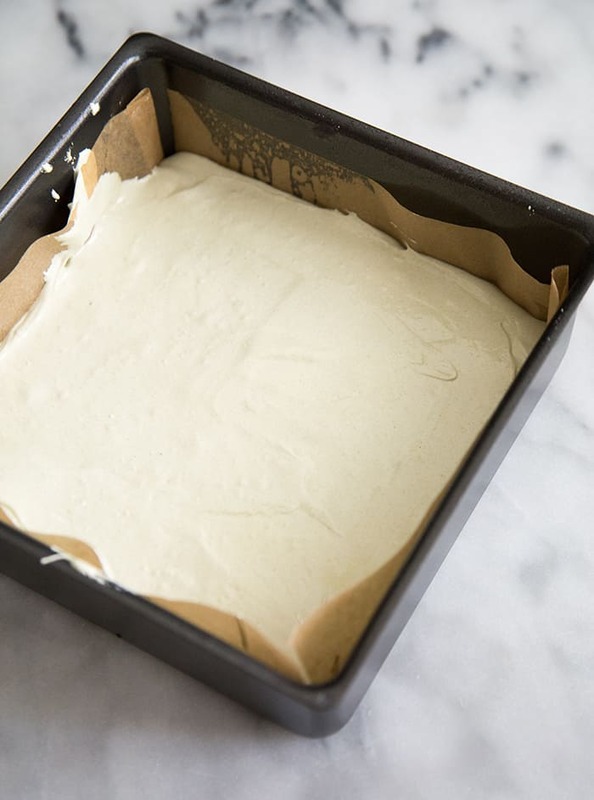 Set over medium-high heat and cook to soft ball stage, 240 degrees F. Line a 9-inch square pan with parchment paper, allowing for an overhang on all four sheets. Lightly grease parchment paper and set aside. In a small bowl mix together 1 Tablespoon matcha powder and 2 Tablespoon water. Set aside. 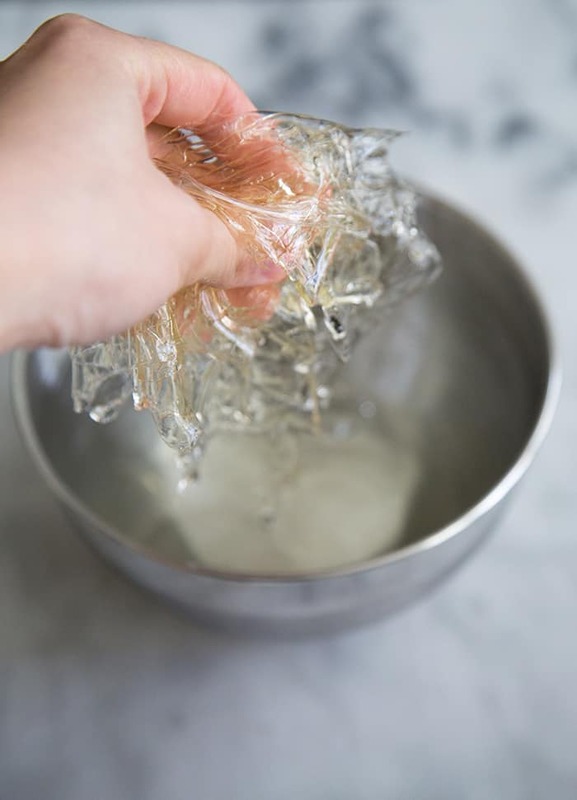 Once sugar mixture has reached 240 degrees F. Remove from heat and let mixture cool slightly to 210 degrees F. Pour into the bowl of a stand mixer fitted with a whisk attachment. Add liquid gelatin and matcha mixture. Whip on low-medium speed for a minute or two to get all the ingredients combined. Then increase the speed and whip until mixture is light and fluffy. Use a lightly oil spatula to pour marshmallow mixture into the prepared pan. Spread the mixture into an even layer. Sift matcha sugar dusting powder all over the top of the marshmallow. Let it sit at room temperature for 5 hours (up to overnight). Remove the giant marshmallow from the pan and place it upside down on a confectioners' sugar dusted surface. Peel off the parchment bottom of the marshmallow. As you remove the parchment, sprinkle the matcha sugar dusting powder over the exposed marshmallow. 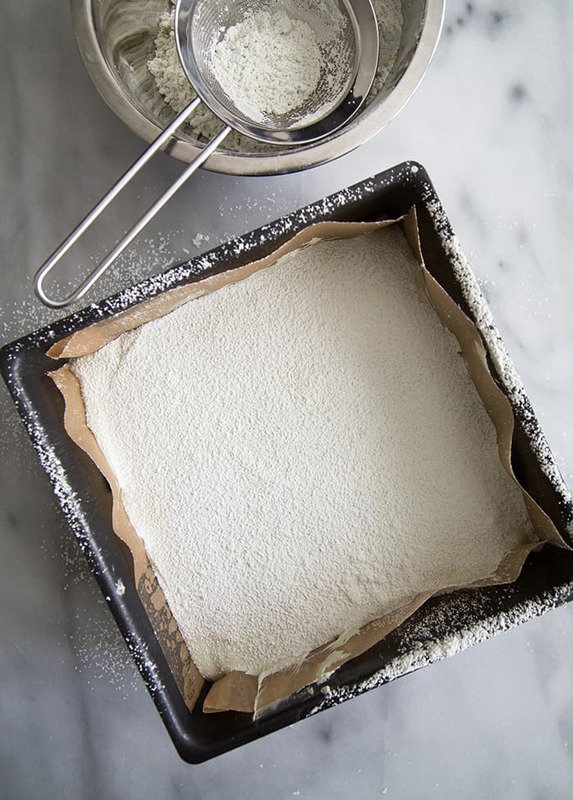 Sift together confectioners' sugar, cornstarch, and matcha powder. I use the Gelita brand gelatin (silver strength). They come in really large packs (about 400 sheets in a box). It’s my absolute favorite, although it may be a little difficult to find. I purchase mine at a local restaurant supply store. Amazon has many brands to choose from. I recommend these gelatin sheets. Note: I use the Gelita brand gelatin (silver strength). They come in really large packs (about 400 sheets in a box). It’s my absolute favorite, although it may be a little difficult to find. I purchase mine at a local restaurant supply store. Amazon has many brands to choose from. I recommend these gelatin sheets. Fanny @ Oh Sweet Day! I LOVE anything with matcha in it! I have also wanted to make homemade marshmallows for so long now. This looks so good!! OMGAWWWWDDD – You are my hero. I am so behind on blog reading and I am so happy that THIS is the recipe I come back to. If you have extra marshmallows on hand, I know someone who’s got a birthday coming up (wink wink). I expect to see a billion photos from MatchaBar so I can live vicariously through your tastebuds.